While this blog post is going live, I’ll be getting ready to spend the day tailgating and singing at the top of my lungs at the Kenny Chesney concert! Even though Kenny didn’t go on tour this year, he is doing two shows up here in Massachusetts so it has us feeling pretty special here. I’ve been a fan of Kenny Chesney’s music for years. It was one of my favorites during college- which is a long time ago now :). 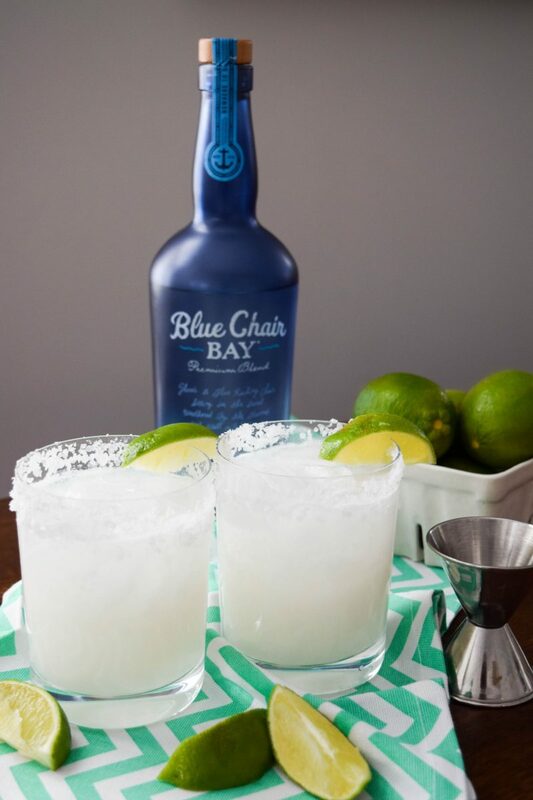 This summer I’ve been lucky enough to become a fan of another side of Kenny through his rum, Blue Chair Bay Rum. When I first received some of the rum earlier this summer, I began scheming of how I would use them for cocktails, especially the coconut rum. Coconut to me seems instantly tropical and summer-y! One of my favorite coconut drinks I’ve ever had is a coconut margarita from the Mexican place in our neighborhood, Loco. It’s so good- the perfect combination of sweet and tangy! 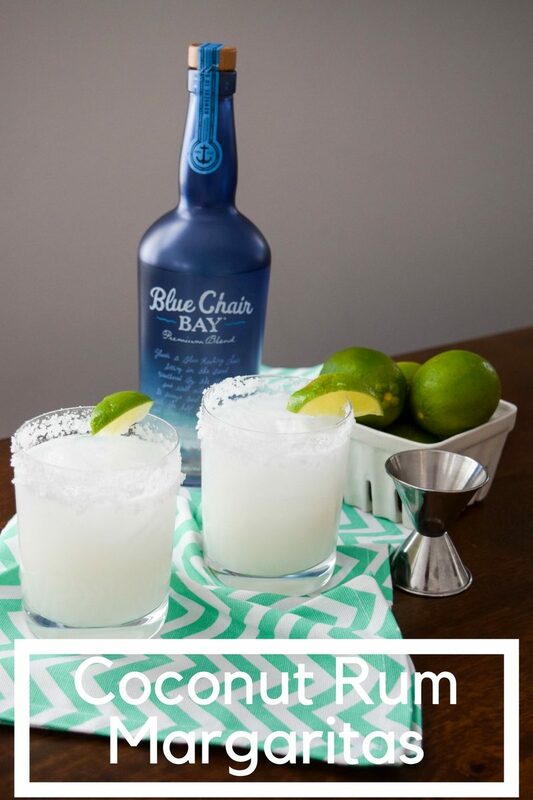 Now I obviously know margaritas traditionally call for tequila and not rum, but doesn’t a rum-a-rita sound super fun too? I sure think so! And from there, my Coconut Rum Margaritas (aka rum-a-ritas) were born. These drinks are SO good and I think I re-created the sweet coconut taste with a hint of lime from my Loco faves perfectly. Prep your glasses by salting the glass rims and filling with ice. Combine coconut milk, coconut water and coconut rum until well combined. 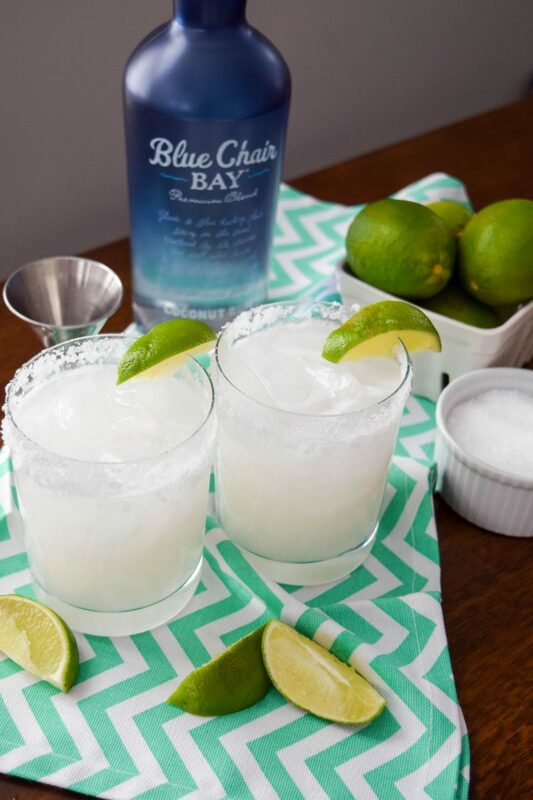 Pour into glasses and squeeze a lime wedge into drink to taste. 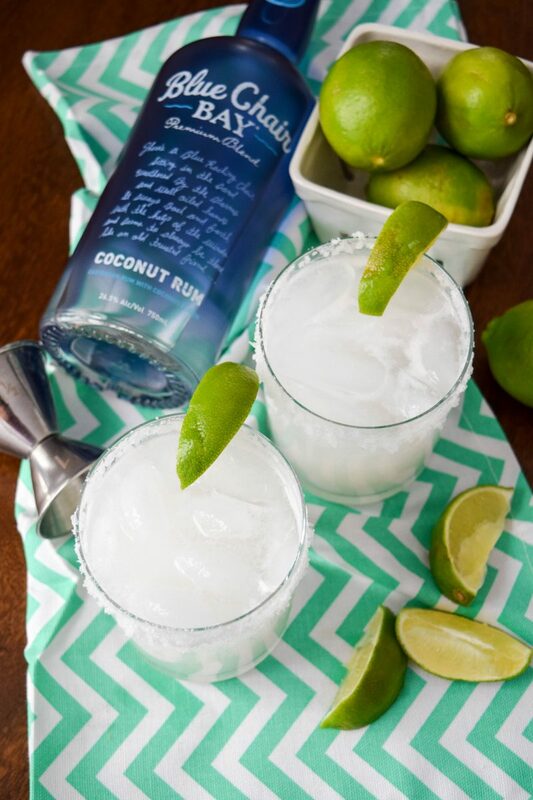 Enjoy your delish Coconut Rum-a-rita! 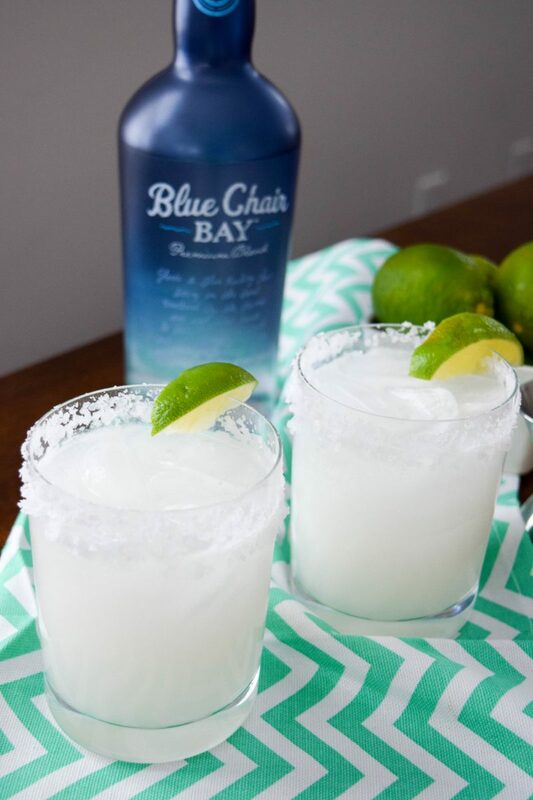 FYI- This post was sponsored by Blue Chair Bay Rum. All images, opinions and recipe are my own.